If you are contributing to GNOME documentation, probably you already read about the Brno Doc Sprint (and the Developer Conference) that takes place in Brno, February 17-21, 2012, at the Faculty of Informatics at Masaryk University (from February 17-18) and at the Red Hat Czech Office (from February 19-21). For those of you attending this documentation event, the organizers have special arrangements with one of the hotels near both doc sprint venues to provide the attendees a discounted rate. See the Developer Conference wiki page for more details. 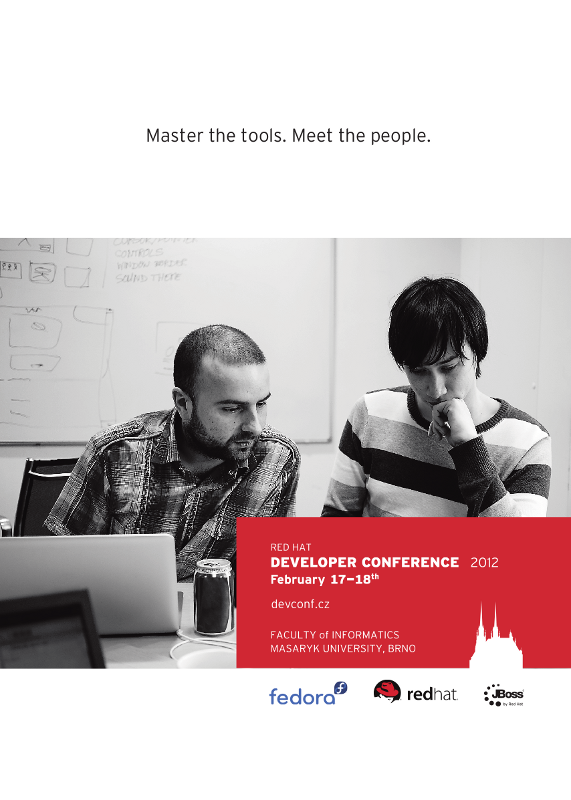 To be able to receive the discounted rate, please confirm your attendance by January 9, 2012 on the doc sprint wiki page. Please also remember to fill in your arrival and depart dates, and, since the special rate is for double-bed rooms, your roommate. See you all in Brno! During Q3, GNOME localization teams efforts were focused mainly on delivering translation support for the GNOME 3.2 release, which was shipped on September 28. In this release, there were more than 50 languages with at least 80 percent of strings translated, including the user and administration guides. One of the participants in the GNOME Outreach Program for Women that took place from May 23 to August 22, Priscilla Mahlangu, completed the first localization intern in the history of the program after working on Zulu translations with Friedel Wolff as her mentor. As a result, she managed to improve Zulu localization from ca. 4 percent of translated strings to ca. 10 percent. As the first team ever, the Spanish team was able to complete the translation of the official GIMP documentation, thanks to the work done by a Spanish translator, Ignacio AntI. Thanks to the contributions from Claude Paroz and Gil Forcada, the GNOME localization platform Damned Lies, running on l10n.gnome.org, saw a number of improvements in this quarter, including work on implementing support for word statistics.